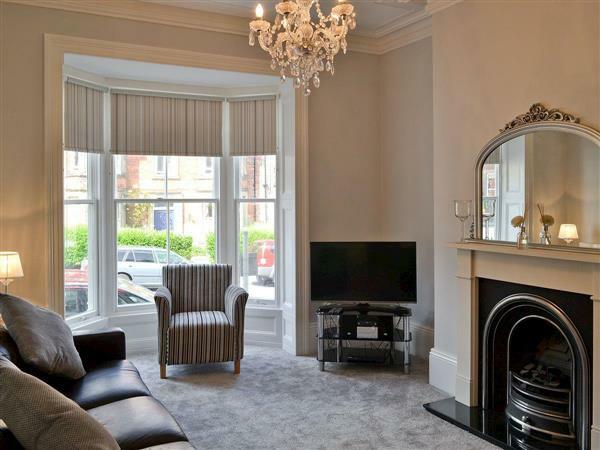 Abbeydale Town House in Whitby sleeps 6 people. Abbeydale Town House in Whitby is a Victorian terraced town house which was built when Whitby became a highly fashionable spa resort. Abbeydale Town House, has been renovated to a very good standard retaining many of its original features. Whitby is known for its quirkiness and its many little alleyways and ginnels that take you down to the seafront. A busy working harbour awaits with a small vibrant fishing fleet that bring in their catch on a daily basis. Just around the corner from the harbour there’s a large sandy beach, great for all ages with donkey rides, sandcastles and rock pools. Perched on the hilltop is Whitby Abbey, famous for many reasons but one is the fact that it has 199 steps from the old town to the abbey. The Cleveland Way passes through Whitby as it follows the coastline down to Filey. It’s a stunning walk along the rugged clifftops and down into the small coves. For those who like a more leisurely stroll there’s the Cinder Path which is the old railway that goes from Whitby to Scarborough, over 20 miles of flat walking. The resorts of Robin Hood’s Bay, Sandsend, Staithes and Scarborough are all a short drive away. Abbeydale is a great base to visit the east coast, the North York Moors and the Wolds. The beach, shop, pub and restaurant are all 400 yards from Abbeydale Town House in Whitby. Ground Floor: 5 steps to entrance. Living room: With gas fire, 40 Freeview TV, DVD player and CD player. Kitchen/dining room: With electric cooker, electric hob, microwave and fridge/freezer. First Floor: Bedroom 1: With king-size bed and en-suite with shower cubicle and toilet. Third Floor: Bedroom 3: With double bed and en-suite with bath, shower attachment and toilet. Gas central heating, electricity, bed linen, towels and Wi-Fi included. Travel cot and highchair available on request. Welcome pack. Small sitting-out area. Parking permit for 1 car, scratch card provided. No smoking. Holidays at Abbeydale Town House run from Friday to Friday. For a better idea of where Abbeydale Town House is, you can see Abbeydale Town House on the map below. Abbeydale Town House is in North Yorkshire; should you be on the lookout for a special offer, you can find all the special offers in North Yorkshire. It's always worth checking to see what is on offer at the moment. 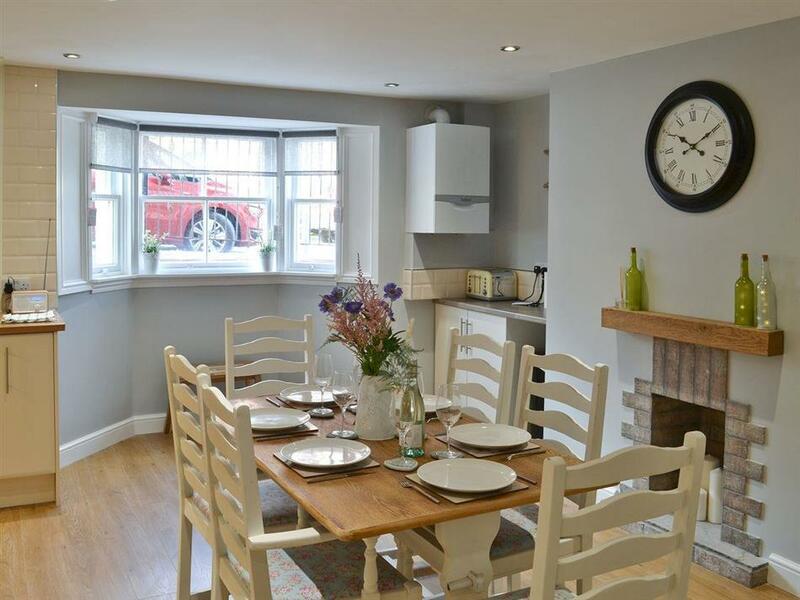 Do you want to holiday near Abbeydale Town House (UK2082), you can see other cottages within 25 miles of Abbeydale Town House; have a look to find your perfect holiday location.